This marked my first opportunity to record in New York. Todd Barken put the band together and I came with arrangements by west coast musicians, Mitch Forman, Russell Ferrante, John Beasley. We made this project in three days, little time to barely get to know each other but without a doubt, I would love to have these moments again. To paraphrase from the title of a vintage jazz ballad, “It Was a Beautiful Three Days in August,” when singer/songwriter Marilyn Scott fulfilled her long-held dream of recording an acoustic jazz album in New York City the way the legends used to do it – with the singer and musicians all cutting and working out arrangements together in the studio. Christened Every Time We Say Goodbye, the album is a dreamy throwback to a purer aesthetic that marks the 30th anniversary of Ms. Scott’s impressively eclectic recording career – one in which she has successfully sung soul, pop, smooth jazz, adult contemporary and music for motion pictures. However, anyone who has listened to her CDs knows that jazz has been a prominent part of the foundation of her artistic architecture. 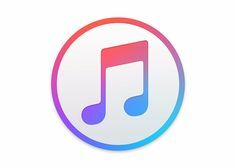 So much so that she is the only vocalist in the history of Billboard magazine to have two different albums charting on the Contemporary Jazz and Traditional Jazz charts – simultaneously. 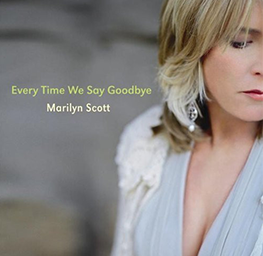 Now on Every Time We Say Goodbye, Marilyn Scott is taking her love for jazz to new heights with a seasoned East Coast quintet led by acclaimed pianist Cyrus Chestnut, produced for the Japan-based Venus Records imprint by label president Tetsuo Hara and veteran jazz musician/producer Todd Barkan – his partner of 15 years. The 10-song repertoire is comprised of smoky wee hours standards such as the Cole Porter-penned title track, a Rio-kissed samba take on Irving Berlin’s “I Got Lost in His Arms” and a blues walk through “Detour Ahead.” The arrangements offer fresh nuances to familiar favorites as do Marilyn’s artful and articulate vocal interpretations.